The Spithead Hotel opened in 1882. 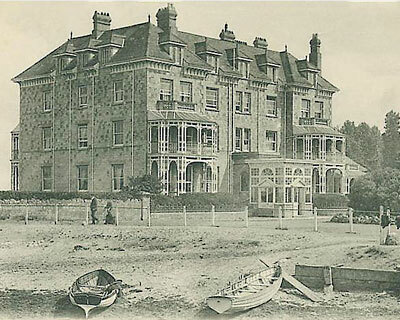 In the same year the railway was extended to Bembridge, (the station was on the opposite side of the road) and with a new pier for steamers, the hotel was well positioned for visitors. The Royal Isle of Wight Golf Club, on the sand dunes across the harbour, was established by visitors to the hotel, the hotel was also popular with visitors to nearby Bembridge Sailing Club. The hotel was demolished in 1989 and the site redeveloped.